It was a very challenging time for me and I was struggling. I had been hurt deeply by the words and actions of someone whom I loved. A friend sat with me, let me cry a little, and offered some words of encouragement. It was simple straightforward advice that provided me support and focus to keep moving ahead, knowing that in time it was all going to be okay. I feel like the writer of Hebrews is doing something similar in today’s First Reading (Hebrews 13:1-8). It provides simple advice and straightforward recommendations. These words give encouragement, strength, and support to help us stay focused along our journey as Christians in the midst of the many challenges of this world. “Let brotherly love continue,” the words begin. (See Hebrews 13:1.) Love can continue. Even if we have been hurt, even if we are struggling through serious challenges, even if it feels as though others or the world has failed us, we are encouraged to continue to love. Even if we feel that we are in the midst of so much darkness, we can let love continue. Why? Because God is our light and our salvation. (See Psalm 27.) He is our refuge and our help. He is our Savior Who will never abandon or forget us. We do not need to fear. In the midst of challenge and pain, anger or disappointment, we can do what we need to take care of ourselves. We can do what we need to repair, let go, reconnect, or move on. Anger or hurt or rejection or differences do not need to have the last word. Above all, we can let love continue. 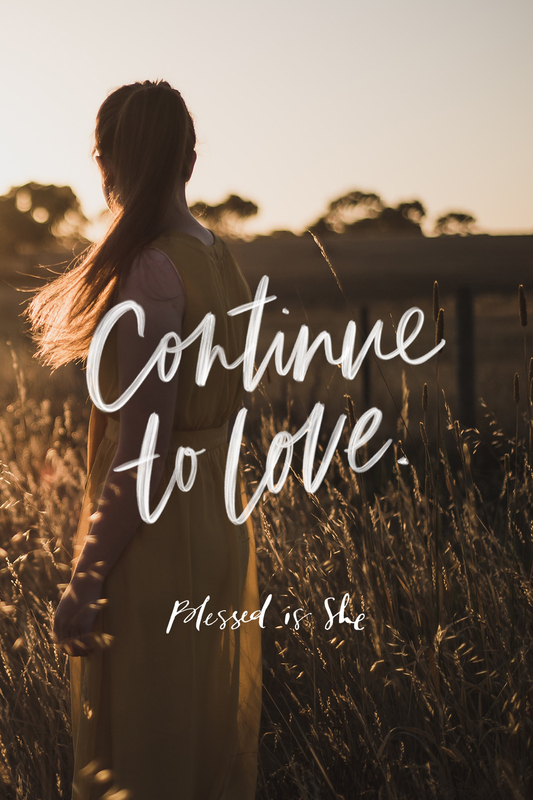 Whatever the circumstances and in everything you do, sisters, let God’s love continue. Pope Emeritus Benedict XVI’s first encyclical was called “God is Love.” Scan or dive deep here. Mary Catherine Craige enjoys spending her time writing, making music and learning about life from her experiences of learning to surf. As a life coach, she supports women to discover who they truly are and how to design their life using their gifts and talents to live fully alive as the person God has created them to be. You can find out more about her here.